When most people think of “corrosion,” they think of rust. However, one of the biggest sources of corrosion inside of wastewater pipes and septic tanks is actually the bacteria that break down the waste. Bacterial metabolism naturally produces hydrogen sulfide as a byproduct, which ultimately converts into highly corrosive sulfuric acid. Over decades of use, this can wear away at sewer pipes and septic tanks, eventually causing them to leak or even collapse. At A1 Sewer & Drain Services, we provide NJ’s best sewer repair and sewer replacement services for old, corroded pipes and septic tanks. Our local plumbers have years of experience working with residential, commercial, and municipal sewer systems, as well as septic systems. For same-day service and a free diagnosis, call us today at 201-645-0888. In the long term, sewer bacteria are a leading cause of corrosion for both metal pipes and concrete septic tanks. In the United States, bacteria corrosion causes an estimated $14 billion in damage each year. Although some materials, like ABS and PVC plastics, are resistant to sulfuric acid corrosion, metal and concrete are susceptible. Eventually, bacterial corrosion can lead to the need for extensive sewer pipe repairs or even sewer pipe replacement. When domestic sewage and wastewater from a home or business enter the sewer pipes, it contains proteins that incorporate organic sulfur compounds and certain inorganic sulfates. The bacteria catabolize these organic materials, breaking them down. In the absence of certain things like oxygen and nitrates, the sulfates in the effluent can be reduced to hydrogen sulfide. This process provides a source of oxygen for the catabolic processes of sulfate reducing bacteria. Sewage oxygen concentration. Above a certain value, oxygen will oxidize the sulfates. Below that value, sulfides will be emitted in a gaseous phase. Temperature. Higher temperatures speed up the corrosion process. 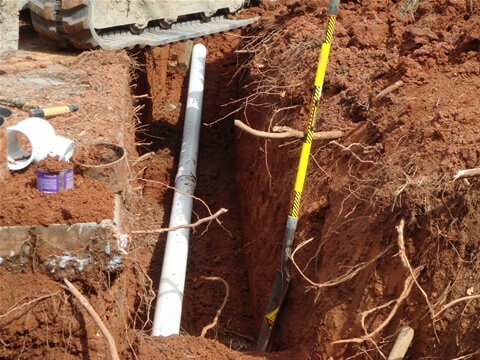 Slow flow and long retention time in the pipes or septic tank. Inside the pipes or the septic tank, some of the dissolved hydrogen sulfide gas diffuses into the headspace above the wastewater. The moisture containing it often condenses on the walls of the pipe. These tiny droplets become a microscopic ecosystem of sulfur oxidizing bacteria, which metabolize the gas into sulfuric acid. These bacteria are in the genus Acidithiobacillus, and are chemolithotrophs that metabolize sulfur. Obviously, sulfuric acid is highly corrosive. Metal and concrete are not resistant to sulfuric acid corrosion, leading to gradual damage from the bacterial processes. When pipes have been corroded by bacterial hydrogen sulfide, you’ll probably need sewer pipe replacement from a local plumbing company. Localized areas of damage can often be patched with CIPP sewer relining, but damage from bacterial corrosion is generally widespread. 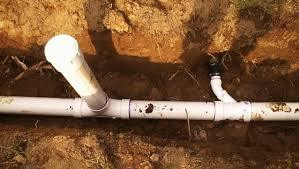 Sewer replacement for corroded pipes is commonly needed on properties with very old sewer pipes. Because metal pipes have such a long service life, it’s not uncommon for the existing pipes at a home or business to be decades old. Some cast iron pipes have even been in service for as long as 100 years. Corrosion takes a long time, but there are options for sewer replacement that can resist sulfuric acid. 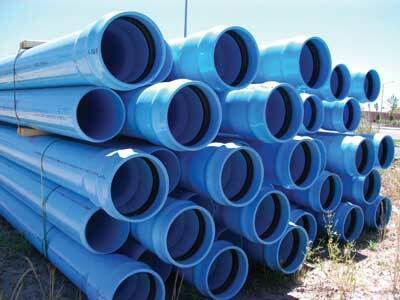 PVC and ABS plastics are commonly used in underground wastewater pipes, and won’t corrode from microbial action. If you live in an area where conditions are right for bacterial corrosion to be likely, you may want to talk to a sewer service contractor about these corrosion-resistant plastics. If your sewer line is leaking, broken, or collapsing due to bacterial hydrogen sulfide corrosion, our experienced contractors at A1 Sewer & Drain Services can fix the problem. 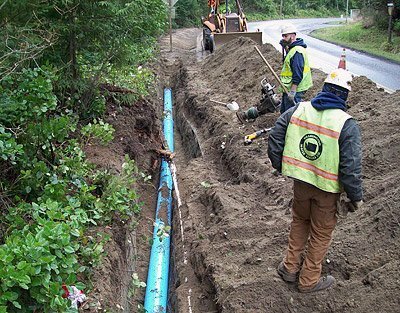 We provide trenchless solutions for sewer repair, including CIPP relining, as well as sewer replacement. We’re always available for 24-hour same-day service for any sewer or drain emergency. For sewer repairs or septic tank repairs today, call us any time at 201-645-0888.